The Advanced Course Biocatalysis aims to familiarize participants with the integrated, interdisciplinary approach required to utilize the catalytic potential of enzymes and whole cells for the production of useful compounds. Organic chemists, enzymologists, microbiologists and (bio)chemical engineers from the faculty staff of Delft University of Technology and other universities, together with invited international experts from industry, will offer a selection of theory and practice. In this way, the course will provide an intensive and in-depth treatment of the state of the art and the necessary link between fundamental knowledge and practical applications in industrial scale processes. Note: A limited number of fellowships is available for PhD students (reduced fee). For a better understanding of the lectures and to stimulate active participation by those attending, this intensive one-week course combines lectures with practical demonstrations. The course will be given in English. When is biocatalysis the preferred method? Which type of biocatalysis should be used? How to obtain / improve this biocatalyst? Which reaction types can be carried out? How to perform and monitor the conversion? How to optimize the reaction conditions? The course (including preparatory materials) is valued 40 hours of work. This Advanced Course is aimed at professionals (MSc, PhD or equivalent experience) in biochemical engineering, organic chemistry, fermentation technology, biochemistry or microbiology with a basic working knowledge of the other disciplines. The course is primarily aimed at those already employed in industry who wish to update their theoretical knowledge and practical insight in this field. In addition, this Advanced Course is an option in the two-year postgraduate programs of Delft University of Technology. *To be eligible for the reduced early bird fee you need to register before 10th of February 2020. If this date is exceeded, the regular fee applies. In the event of your cancellation before 24th of February 2020, a full refund will be granted. After this date, a 25% fee charge can be made. Isabel Arends obtained her MSc and PhD degrees in organic chemistry at Leiden University. Currently she is head of the TU Delft Department of Biotechnology and professor of Biocatalysis and Organic Chemistry in this department. Her research focuses on the development of catalysts for green products and medicines, with a focus on development and application of enzymes. She studies oxidative enzymes, as well as metal hybrid proteins and explores their potential for sustainable production of epoxides, alcohols and ketones. Prof. Arends has over 150 scientific publications, and has supervised more than 30 PhD students and postdocs over the last 10 years. 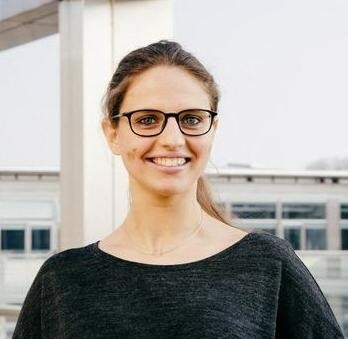 In addition, she is vice-president of the BSDL foundation (Stichting Biotechnological Sciences Delft Leiden) and member of the board of Technology Foundation STW. Ulf Hanefeld is a full professor in Biocatalysis at Delft University of Technology. He was born in Köln, Germany, and grew up in then (West) Berlin and London. In 1993 he received his PhD from the Georg-August-Universität zu Göttingen, having performed the research both in Göttingen (Prof. H. Laatsch) and Seattle (Prof. H. G. Floss). After postdoctoral years with Prof. C. W. Rees (Imperial College London), Prof. J. Staunton (Cambridge) and Prof. J. J. Heijnen and Dr. A. J. J. Straathof (TU Delft), he received a fellowship from the Royal Netherlands Academy of Arts and Sciences (KNAW). He rose through the ranks at the Technische Universiteit Delft and his research in Delft focuses on enzymes and enzyme immobilisation for organic synthesis. 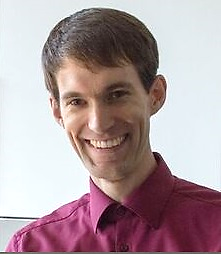 After his MSc in Chemistry at the University of Bonn (Germany), Frank Hollmann completed his PhD thesis at the Swiss Federal Institute of Technology (ETH Zurich), Switzerland. After working as a postdoc at the Max-Planck-Institute for Coal Research (Germany) and as R&D manager at Evonik Industries (Germany ), he became an Assistant Professor at the Delft University of Technology in 2008. His main research interests are the application of oxidoreductases for organic synthesis and green chemistry using enzymes. Adrie Straathof is Associate Professor in the Bioprocess Engineering group of the Department of Biotechnology of the Delft University of Technology. Previously he was Assistant Professor and Ph.D. student in the Biokinetics and Organic Chemistry groups, respectively, at the same university. He was visiting professor at UNICAMP, Campinas (Brazil), and at ETH Zurich (Switzerland). He was programme leader of the Bulk Chemicals program in the B-BASIC (biobased sustainable industrial chemicals) consortium. His research interests are (a) enzymatic and microbial manufacturing of fine chemicals, bulk chemicals, and biofuels; (b) in-situ bioproduct recovery using crystallization, adsorption, extraction, membrane permeation; (c) model based and experimental bioprocess integration; and (d) kinetics and thermodynamics for biotechnological processes. Gerard Muyzer started his scientific career in molecular paleontology using antibodies to study the macromolecular remains in fossil shells and dinosaur bones. Inspired by the work of the American scientists Norman Pace and David Stahl, he changed his research interests from dinosaurs to microbes. Prof. Muyzer worked at the Max-Planck-Institute for Marine Microbiology, the Royal Netherlands Institute for Sea Research, and Delft University of Technology. Currently he is a full Professor in Microbial Systems Ecology at the University of Amsterdam. In 2012 he received a prestigious ERC Advanced Grant on a project entitled The Paradox of Sulfur Bacteria in Soda Lakes, in which he will try to obtain a comprehensive understanding of the diversity and ecophysiology of sulfur bacteria in soda lakes, their niche differentiation and the molecular mechanisms by which they adapt to the extreme halo-alkaline conditions.